Adolescents need…to work, to be challenged, to be empowered, to develop a personal vision, to be adaptable. Maria Montessori envisioned work for adolescents designed to respond to the sensitivities of this age: personal dignity, social justice and belonging. Her education models for the years leading up to adolescence provide the foundations of high levels of independence and self-direction, respect for differences in personal strengths and challenges, comfort with collaborative work, and a love of learning for learning’s sake. By the time children reach their adolescent years, they are ready to explore and discover the world and their roles in it through a curriculum based on society and the needs of their communities. Appropriately, the adolescents’ communities and the earth become their classrooms. 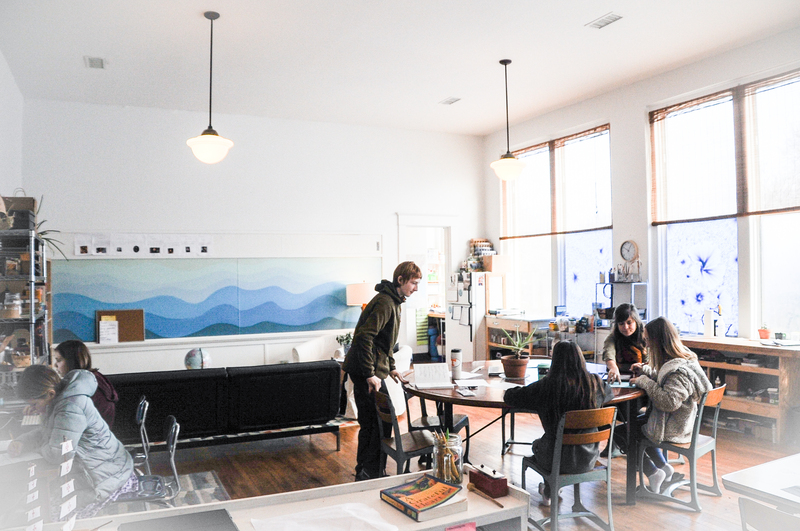 Mead’s Adolescent Program offers lessons with practical applications that allow students to improve their communities through occupation-based projects. Students develop and maintain positive relationships with adult mentors and guides through work that has a clear purpose and allows them to engage in the immediate needs of their community. The history, natural beauty and ecological sanctuary found on Mead’s campus at Ijams Nature Center provides endless opportunities for students to work with their heads, hearts and hands in nature on a daily basis. Lessons in math, science, history, geography, technology, language arts, health and wellness, and practical life skills are found in projects such as building and maintaining a garden and structures, tending farm animals, beekeeping, cooking, using tools, field studies and conservation projects, planning and raising money for school trips, researching local and global issues, writing and presenting to government representatives, and doing volunteer work. Occupations/projects-based projects provide students with real-life experiences and responsibilities to enable them to realize the connections between disciplines to answer the prevailing question of their age – “Why do I need to learn this?” The outcomes of their efforts impact the lives of not only the students, but the lives of others in their community, which provides a strong source of validation for the adolescents’ skills and contributions. In addition to developing the intellect, Mead’s Adolescent Program offers opportunities for students to creatively express themselves through a variety of media such as photography, print, ceramics, textiles, and an array of art, drama, movement, and music endeavors. Outlets for creative expression provide ways for adolescents to channel their emotions, help them feel comfortable and competent in expressing themselves, and lead them to better understand and appreciate others’ perceptions and perspectives. 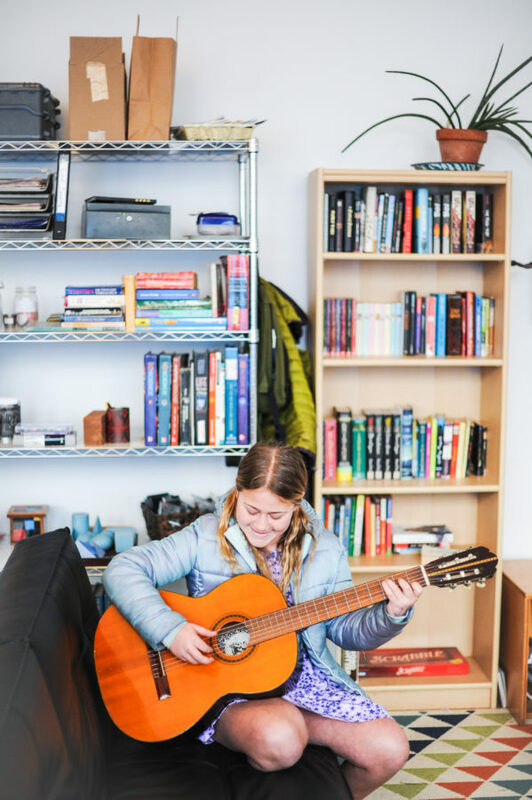 Mead’s Adolescent Program will be led by an AMI-certified guide who has undergone intensive training specifically tailored for adolescents and with a comprehensive knowledge of the Montessori developmental continuum. Maria Montessori founded AMI to ensure that her methods would retain an original integrity and to ensure that her work would be perpetuated after her death. Accreditation and certification in AMI helps ensure that teachers are as close as possible to her original philosophy and ideals. Therefore, the adolescent curriculum follows Maria Montessori’s three-part “Educational Syllabus” for adolescents. The first part focuses on self-expression and includes music, language, and art. Moral education, mathematics, and language compose the second part. The third part includes three divisions: “The study of the earth and living things,” “The study of human progress and the building up of civilization,” and “The study of the history of mankind.” These three divisions culminate to build a cultural knowledge of our human past and inspire students to develop their own personal visions as to how their unique roles will contribute to their time and place in history. Our goal at Mead is to empower young adolescents to embrace their talents, responsibly adapt to their evolving independence, and to be well-informed contributors to their time.